Capt. 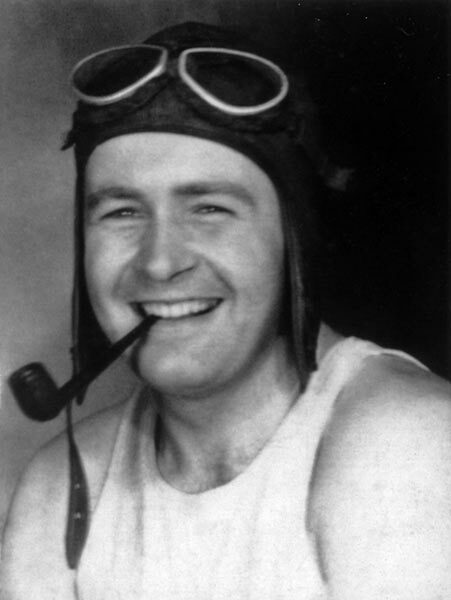 Paul Mlinar, Sr. was the first pilot on the Seaboard seniority list. He grew up on a farm in Hopkins, Minnesota. He started flying at 16. As a military pilot during World War II, he flew many high-ranking government officials, including French Provisional President Charles de Gaulle, Russian Foreign Minister Vyacheslav Molotov, and U.S. Secretary of War, Henry L. Stimson. 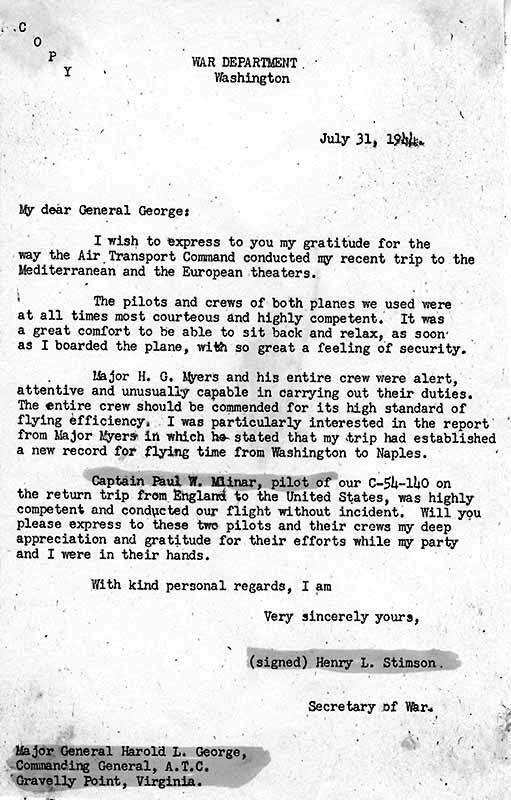 He received many letters of commendation, including this one. 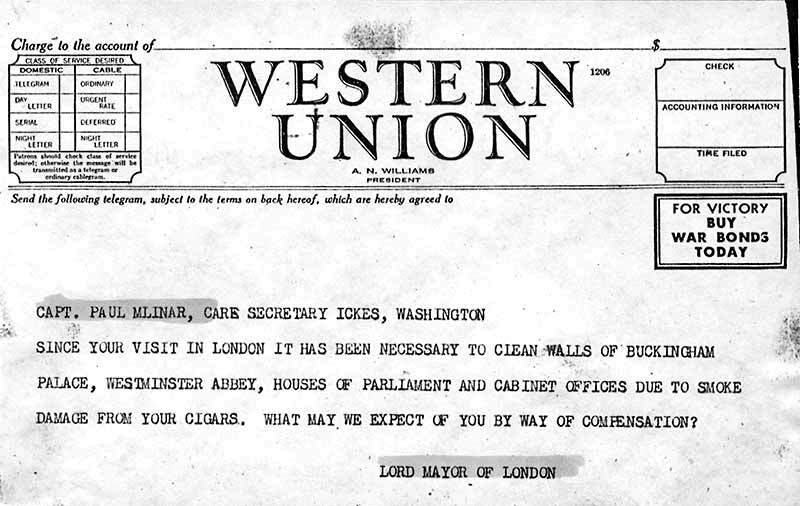 His cigar smoking was legendary, causing someone to send this tongue-in-cheek telegram. He was the captain on Seaboard's first flight, and flew every Seaboard type right up to the B-747. He was also Seaboard's first chief pilot, and the standards he set contributed in no small measure to Seaboard's fantastic record of 33 years of operation without a single fatal accident. Paul was survived by his son, Paul Jr., daughter, Paula; and sister, Anita Kraml. His wife of almost 50 years, Mildred, died 6 months earlier. 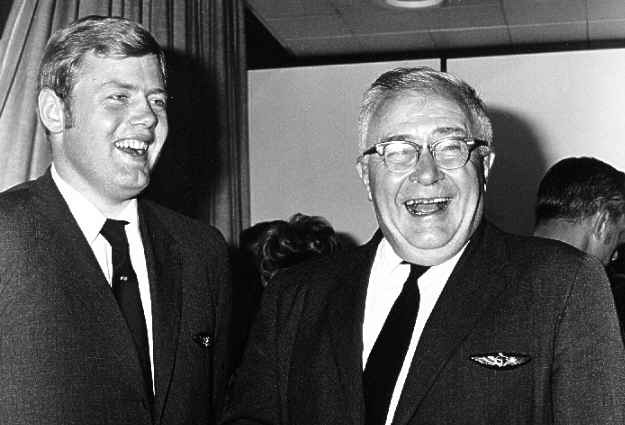 He is seen here after his last flight in September, 1969, with Paul Jr. who was also his co-pilot on that flight.